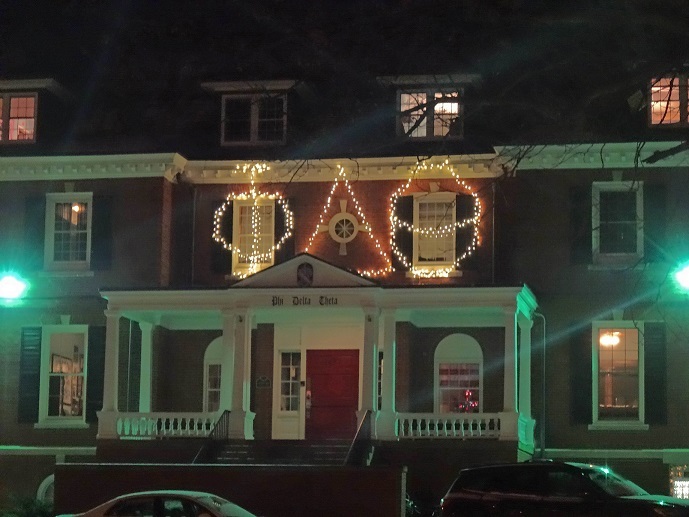 The spirit of Christmas and the holiday season is on proud display at the chapter house. 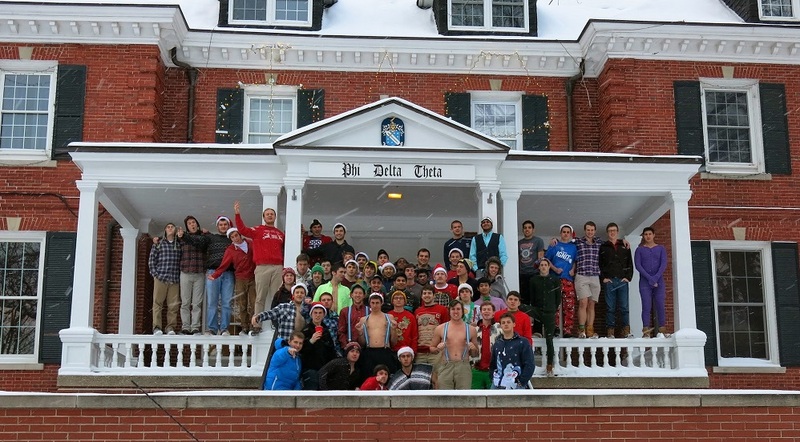 The active brothers and pledges gathered last weekend to start a new annual tradition of taking a picture of the membership to wish the campus and alums greetings of the season. 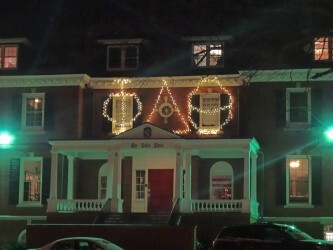 In addition, the brothers are lighting up the old Red Brick Barn each night with PDT's letters. 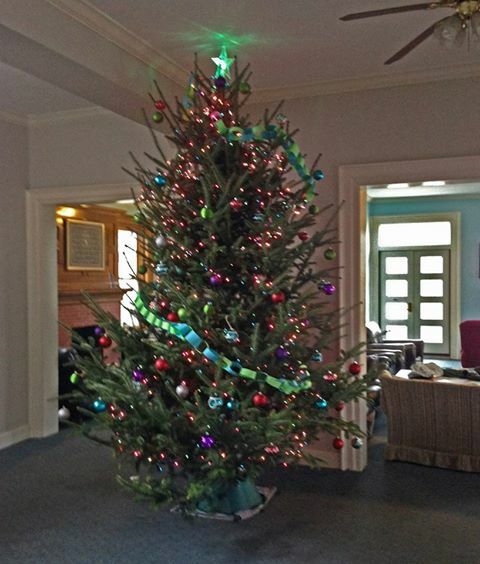 The fall pledge class of contributed to the cheer by purchasing (yes, they really did buy it) and decorating a Christmas tree for the foyer. 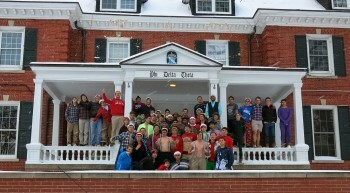 As we all should remember, Christmas is an important part of Phi Delta Theta's history given that the Founding Fathers used their Christmas break from school at Miami University to establish the fraternity on December 26, 1848. 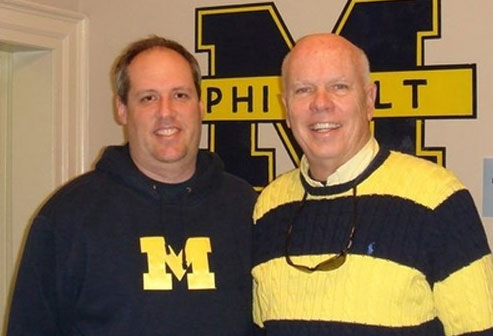 The fraternity is gratified to celebrate its 165th anniversary this year. Established on November 28, 1864, Michigan Alpha was the 16th PDT chapter in the nation. We celebrated our 149th anniversary this year, and look forward with great anticipation to a grand commemoration of our sesquicentennial in 2014.